Again, a film I watch a lot, I watch it every year or every six months, and I always see new stuff in it. And in the same way that I feel about some of Kubrick’s work, it’s a film that on the surface has a very simple kind of plot, but the visual side of it is so seething with ideas - boiling with ideas and information - that it can be experienced again and again and again. More information bubbles up to the surface each time. If Ridley Scott had never made another film, that would have been fine. I really enjoyed watching Black Hawk Down, I think that’s my favourite of the post-Blade Runner movies, and Thelma and Louise as well. 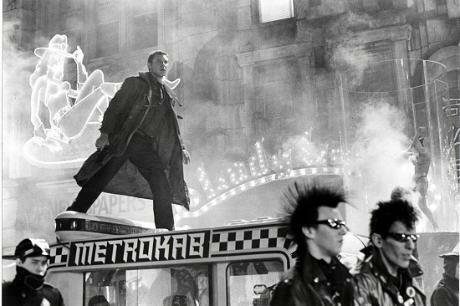 But there’s a magic in Blade Runner, and an intensity that you can see in him that you can see in the 'making of' stuff. That and Alien are a pair. Possibly because he’d come off that intense period of ad-making.